J.N. Patterson Hume was born in Brooklyn, NY, (March 17,1923) and educated at the University of Toronto where he received the BA, MA, and PhD degrees in Physics in 1945, 1946 and 1949 respectively. He was instrumental in founding the Department of Computer Science in 1964, having worked since 1952 in the development of software: creating an operating system, a debugging facility, and a programming language with compiler for the Ferut Computer. He was the Associate Dean for Physical Sciences in the Graduate School 1968-72, and Chair of the Department of Computer Science from 1975-80. He is a Member of the Order of Canada, an ACM Fellow, and a Fellow of the Royal Society of Canada. His research interests were in programming languages and the analysis of computer systems. In retirement, he promoted the Turing and Java languages and written many texts, both at the high school and university level. 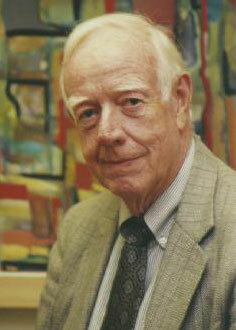 Professor Hume was Professor Emeritus of the Department of Computer Science, University of Toronto and Master Emeritus of Massey College. He died peacefully on May 9th 2013.